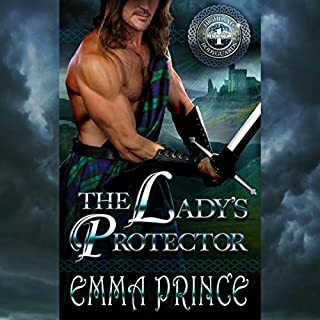 Roderick MacDonald is on a secret mission for his chieftain when he finds a lass near death on a barren hillside and is forced to take her with him. 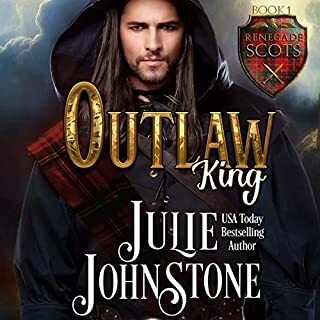 Though this mysterious Sassenach may have the gift his clan needs - and he burns with passion for her - he's determined to resist the enchantment she weaves on his scarred heart. This is the first time I have listened to this author's book and I enjoyed this historical story. The characters were brought to life by the narration. This is a heart felt story to listen to . I love listening to these kind of books. I recommend it and the books after by Margaret Mallory. The narrator Derek Perkins reads it wonderfully. Thank you both. A good story and can always listen to the narrator his voice brings the story alive. What made the experience of listening to Captured by a Laird the most enjoyable? 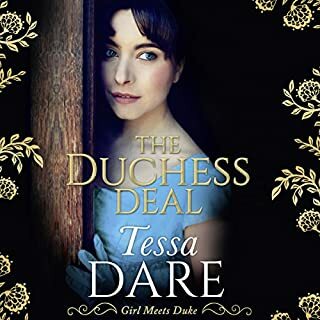 It had everything that makes a good book; a revenge tragedy (a drama popular in the 16th - 17th centuries), romance, intrigue, a handsome, fierce Highlander who storms a lovely widow's gates to exact punishment on her clan and force her to marry him. The new Laird has trouble inside and outside the Castle/Keep he's conquered. It was concise and flowed right along; no boring interludes. What was one of the most memorable moments of Captured by a Laird? There were many but when the Laird's youngest brother (a lovable, meek nature young man with little training with the sword) rides into the path of a renown French swordsman was certainly memorable. The young Hume brother was leaving the Keep (unaware his two older brothers had been in a skirmish with the Frenchman and his men) when he saw his Laird brother and his next oldest brother in hot pursuit of the Frenchman he rode to intersect him. Would his brothers reach the Frenchman in time (one brother riding in from the side where he had been stationed as a look-out and Laird Hume a distance behind the Frenchman); will they get to him before he severs the young man's head? He has the ability to relate to each character and create different character's voices! So much better than reading it myself. If you could rename Captured by a Laird, what would you call it? I highly recommend "Captured by a Laird". 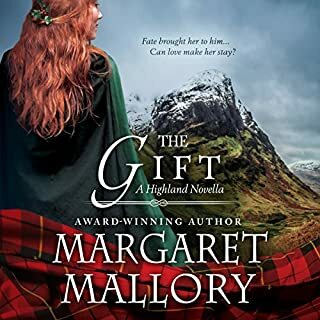 I'm a big Margaret Mallory fan but I have to say Captured by a Laird is one of her very best. I was hooked from the very first chapter and could not put it down. Derek Perkins did a very good performance of this book and made it truly enjoyable. 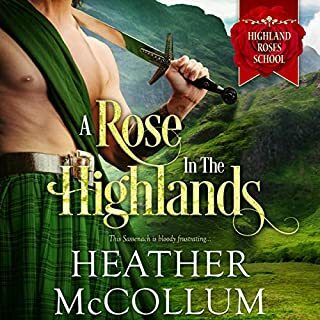 This first book in the Douglas Legacy series is a dramatic, well paced Scottish historical romance. It delivers a true "Scottish era" tale of Alison and David. Alison is a gutsy young woman who was married at 13 to a dishonorable man. 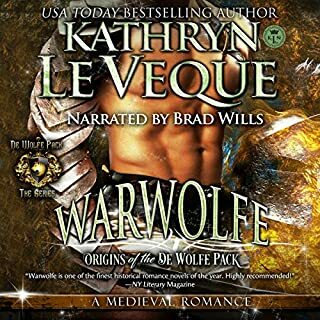 Enter David, a determined Laird, who captures her castle, lands, and her heart. 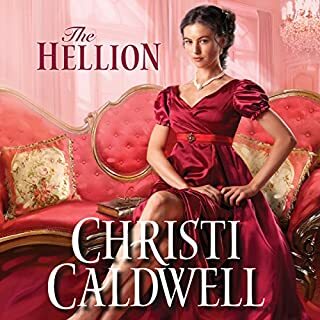 This story has just enough passion, danger, courage, and vengeance to keep any historical romance enthusiast entertained. Fast moving. Kept me interested till the end of the recording. Will buy more books by this Author. I loved the story and all the twists. I will listen to more of these books. Had a bit of trouble with narrator at first but the more the story evolved the less it was. i loved it. it was very intriguing and suspenseful. I look for books read by this narrator. I loved the story and the Scottish accent it was spoken. Great pace. Can't wait to get my next book! I've not listened to this narrator before. it was sheer pleasure!! This was just a big fun. I really enjoyed this story. I thought it was well performed though I would not have chosen a man to narrate this story. His female voices came across as whiny in places, but not so bad as to make me stop listening. The note from the author explaining how she writes fiction but drew greatly upon historical information was a nice bonus at the end that often does not make it into audio editions. Overall I am well pleased.